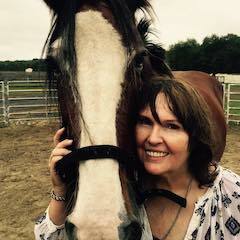 Pam Hunter, Principal at Unbridled Life Coaching, LLC, is a Certified Master Facilitator through the Koelle Institute for Equus Coaching®. Pam spent over twenty years as a Managing Director for several global investment firms. Throughout her career leading investment teams, Pam’s greatest personal achievement came from developing the next level of leaders by helping them establish their career goals and to reach their desired level of success. Her passion now lies in helping individuals and organizations identify, develop and achieve their own goals, while helping her herd of rescued horses find new lives as Master Teachers. Pam holds individual sessions as well as Equus Coaching workshops at her New Jersey horse farm and throughout the Northeast/Midatlantic regions.